In 2018, many of our Higher Education and Training students have been involved in collecting valuable bird observation data in and around the campus. This is of course a really important form of environmental monitoring, where we can undertake presence and absence studies, but, also track changes over time. With the ever-present and emerging threat of climate-change in regions such as Africa, specific taxa, or animal families become useful indicators and warning tools for us. Our focus at the College has been to train students to utilise various applications, like SMART and BirdLasser to conduct bird and environmental monitoring, not only here at the College, but also back in their home countries and places of work. Skills in identification of birds, recording data and ethical approaches to monitoring are all part of the learning process. The study of phenology, which can be defined as the study of cyclic and seasonal natural phenomena, especially in relation to climate and plant and animal life, has become more relevant today. Especially, as one considers how various environmental shifts are occurring, which in turn will impact how we manage our biodiversity into the future. 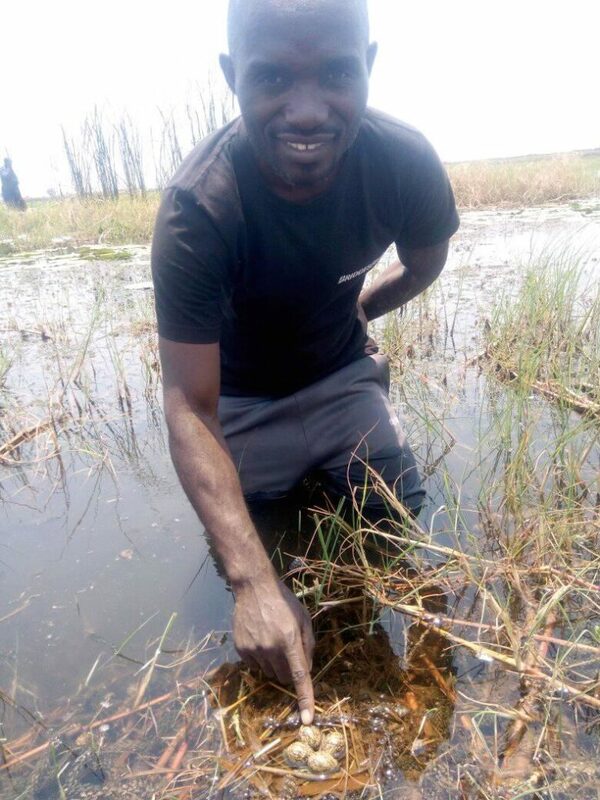 In the last two weeks, a former 2017 Higher Certificate student, Kelvin Sikagoma, a wildlife law enforcement officer with the National Department of Wildlife and Parks in Zambia, undertook a survey in the Bangwelu Wetlands (a Ramsar site of global importance and home to species, like the Shoebill), locating various red-list (endangered species) and excitingly nesting sites of various birds. 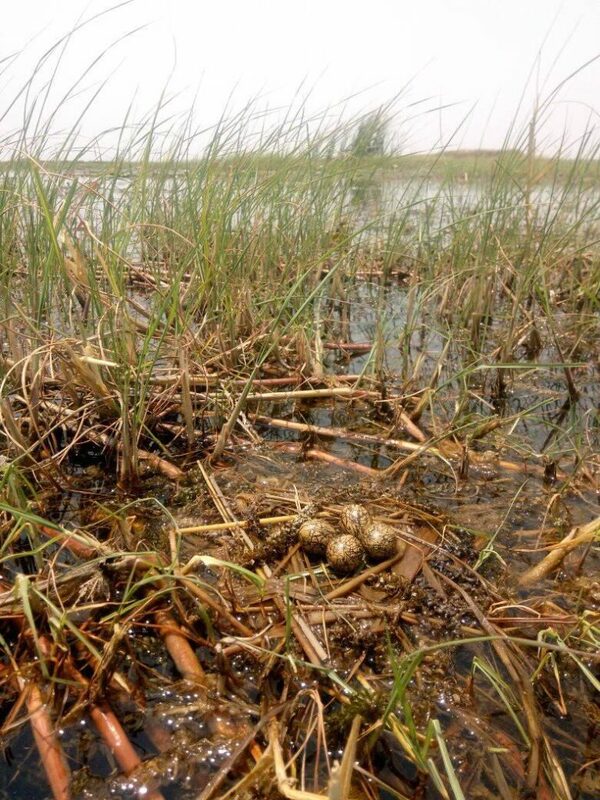 Shown in the pictures below, are the exquisite eggs and nest of an African Jacana (Actophilornis africanus), an interesting species, as the female is polyandrous. 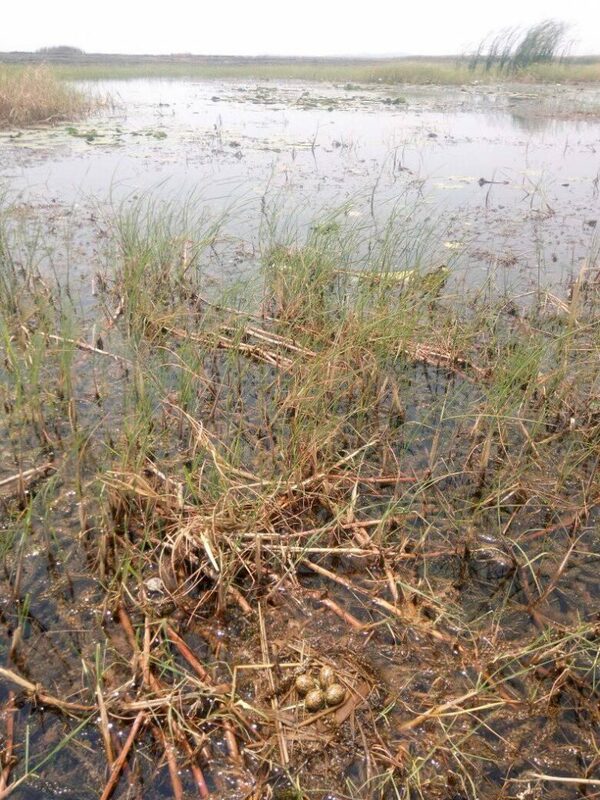 Meaning she has multiple male mates, which she lays eggs with and who take full responsibility for rearing the chicks. An interesting story in itself. The African Jacana is one of only three species that is polyandrous in the southern African region, the others being the Black Coucal and Greater-Painted Snipe. Seeing the impact of the enrichment of additional skills and learning is an incredible value-add to our existing students, our alumni and the conservation organisations they work for. Harnessing passion and motivation always makes education and training easier.